If you’ve ever moved you know just how long it takes to collect all the corrugated boxes you need. Then once you move in and unpack, you’re surrounded by loads of open boxes you’ve got no use for. Sure, you could recycle them or give them away, but may we suggest some more crafty options? Check out our list of creative uses for all those corrugated boxes. Handing boxes to people who need them for moving is always a great idea. But what about nurturing your artistic side, or someone else’s? With some paint and creativity, turn corrugate into Samurai armor or Viking shields for a Halloween costume. 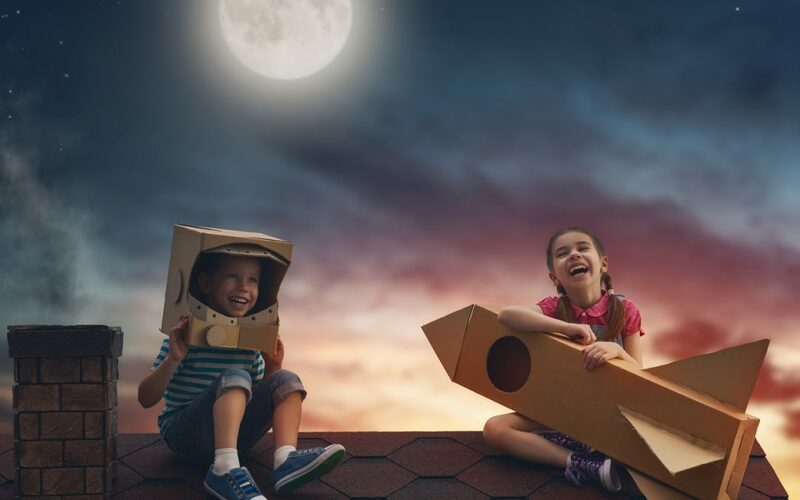 Create a rocket ship for your son, or a fishing boat for your neighbor’s kid. Paint flower pots, pencil holders, even canvases for your own inspired Picasso. You never know what you’ll end up creating. Organizing your office doesn’t have to be a big deal. Box lids flipped upside down turn into trays for incoming/outgoing paperwork. A box with the flaps folded inside makes a great recycling box, especially if you decide to decorate it. A regular box becomes a storage box for documents and papers, even if they’re a little unglamorous. And if you really want it all to match your décor, colored paper brightens up everything. Take a quick tour of Pinterest and Instagram and you’ll see how easily large boxes turn into play areas for kids. Why buy a big plastic kitchen? Colored paper, markers and glue turn boxes into a cool cardboard kitchen. One mom even turned her family’s moving boxes into a retro play arcade for her son. Only the sky and the corrugate’s the limit! Corrugate’s the new black when it comes to decorating the home. A corrugated box wrapped in colored tape or paper makes a great bin for magazines, CDs and all your living room remotes. Stacked corrugate sheets are being anchored onto tables to make them larger. Covering them in a simple tablecloth makes no one the wiser, or keeping it uncovered gives it a great deconstructed look. Corrugated picture frames, lampshades with pinhole art, even stools are all a part of the new wave of corrugated furniture. The next time you think you don’t have use for corrugated boxes, think again! Thought of more uses on your own? We’d love to see them. Tag us on facebook and twitter!